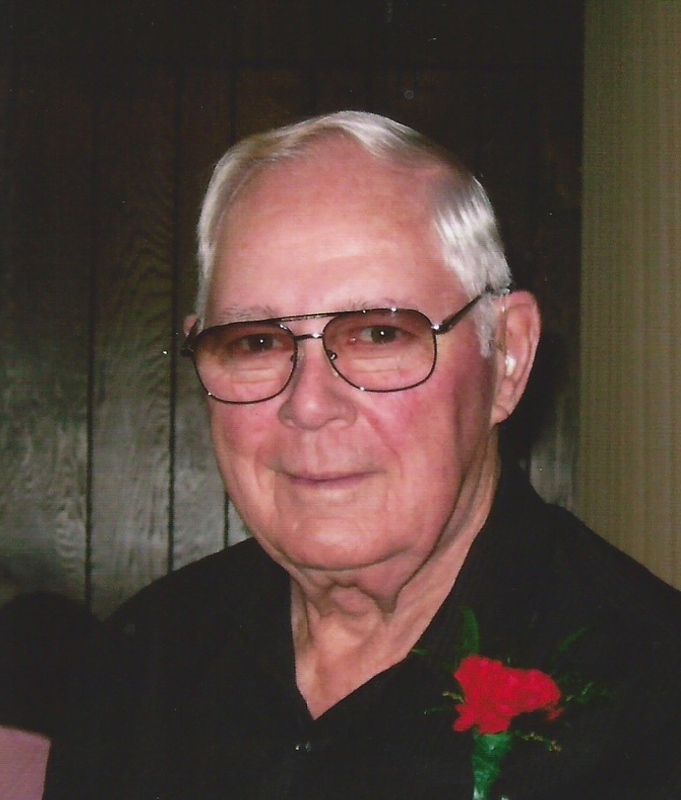 Andrew “Andy” G. Solinger, age 88 of Holdingford died, Saturday, December 1, 2018 at the VA Medical Center St Cloud. Mass of Christian Burial, celebrating the life of Andy G. Solinger will be at 11:00 AM, Wednesday, December 5, 2018 at Church of All Saints – St Mary, Holdingford. Visitation will be from 4:00-8:00 PM on Tuesday at the Miller Carlin Funeral Home in Holdingford. Parish prayer will be at 5:00 PM and the Holdingford American Legion Post #211 and VFW Post #5160 will pray at 7:00 PM at the funeral home. Visitation will continue at the funeral home on Wednesday after 10:00 AM. Burial, with military honors, will be in Church of All Saints – St Mary Parish Cemetery. Arrangements are being made by the Miller-Carlin Funeral Homes. Andy was born February 15, 1930 in Holdingford to Joseph and Antonia (Lehner) Solinger. He grew up and attended school in Holdingford. Andy served in the US Army from 1954 – 1956. On October 27 1958 Andy was united in marriage to Lois Ann Lange at Church of All Saints – St Mary in Holdingford. The couple made their home in Holdingford where they farmed. Andy also worked for the Soo-Line Railroad and later for DCI as a welder. Andy enjoyed hunting, fishing, and trap shooting along with horses; especially riding with the Riverside Trailblazers and being part of the Holdingford Horse Club. He was also skilled at repairing items and was a regular ‘Handy-Andy’. Andy was also an avid pilot and loved to fly his Cessna 172. Andy also cherished his weekday visits and dice with his coffee group. Andy is a member of Church of All Saints – St Mary, Holdingford American Legion Post #211, and Holdingford VFW Post #5160. Andy is survived by his wife of 60 years, Lois Ann and son Darren both of Holdingford. He is also survived by two sisters, Mary Ann Rogers of Anaheim, CA and Louise Winkler of Holdingford. He is preceded in death by his parents; brother, John; sisters, Ruth Maroney, and Rosemary Scepaniak; brothers-in-law, John Rogers, Glen Maroney, William Scepaniak, and LeRoy Winkler; sister-in-law, Dorothy Solinger and twin infant sisters. The family would like to extend a big thank you to the VA Medical Center of St Cloud. Especially to the nurses and staff for the wonderful care provided to Andy over the past two years. Your love and compassion for Andy will never be forgotten-Thank you! Visitation will be from 4:00-8:00 PM on Tuesday at the Miller Carlin Funeral Home in Holdingford. Parish prayer will be at 5:00 PM and the Holdingford American Legion Post #211 and VFW Post #5160 will pray at 7:00 PM at the funeral home. Visitation will continue at the funeral home on Wednesday after 10:00 AM. Mass of Christian Burial, celebrating the life of Andy G. Solinger will be at 11:00 AM, Wednesday, December 5, 2018 at Church of All Saints – St Mary, Holdingford.